Home > Depression in Bournemouth or Dorset? Depression in Bournemouth or Dorset?. Whether you are suffering from depression in Bournemouth, Dorset or elsewhere, we can help by providing successful treatment. There are two distinct types of depression – reactive and clinical. 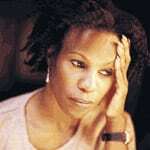 Reactive depression occurs as the result of a trauma. For example, following the loss of a loved one, a job, a relationship breakdown or a serious injury. In such situations we may expect someone to experience a period of depression afterwards. Clinical depression tends to be rather different – it is usually characterised by recurrent bouts, and often has seemingly no direct cause. This can cause secondary problems, for example some people experience guilt over feeling depressed, because on the surface there seems to be no apparent reason for such feelings. In a sense they get upset about the ‘upsetness’! Reactive depression often responds well to a combination of suggestion hypnosis and counselling or cognitive behavioural therapy (CBT). Clinical Depression responds well in many cases to analytical hypnotherapy. This is because no one is born depressed, and if you were not born with this, something has caused it, analysis seeks to find that cause and remove it. In some cases cognitive behavioural therapy will be most appropriate. 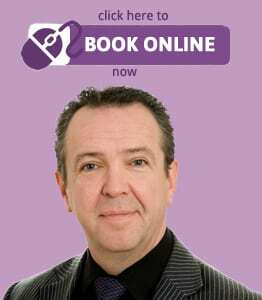 Our senior consultant Mr Roberts will discuss the options with you fully at your free assessment consultation. In any case of depression, whilst we are happy to help and frequently do with great success, it is also advisable to discuss your symptoms with your GP. Are you suffering from depression in Dorset or Bournemouth? For more advice or to book a FREE assessment consultation, contact Dolphin Hypnotherapy now, or book online using voucher code INITIALAC (Please note that in the event of non-attendance or cancellation with less than 48 hours notice, our standard consultation fee will be charged).